Click on American Fact Finder to see figures by region, country of origin and other demographics. If you’re looking for more stats, the US Census website is also worth visiting. UAO has started its African Cabdrivers Health Survey in Chicago this month. 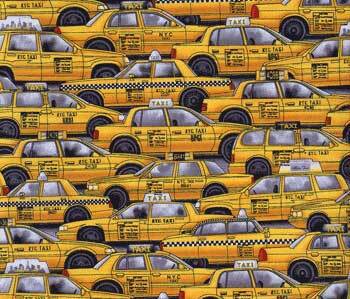 This survey will examine African cabdrivers’ access to health care services in Chicago. Our organization has identified access to affordable health care as an issue of particular significance to the African community at large. In an effort to examine the particular effects of this issue, UAO has chosen to focus this study on the African cabdriver segment of the community. This survey includes 25 simple questions, which focus on cabdrivers’ overall health. However, the survey also explores other issues including their educational background, working hours, and county of birth. These questions will allow UAO to gain a comprehensive understanding of the population’s make-up and needs and use this information to advocate on their behalf. If you or anyone you know is currently working as a cabdriver, please fill out or ask them to fill out the survey online by clicking on this link: African Cabdrivers Health Survey. Cliquez sur ce lien pour remplir le questionnaire: L’enquête Du Santé Sur Les Chauffeurs de Taxi Africains. Join UAO & Allies to Get Out the Vote! Join UAO and Allies for Get Out the Vote (GOTV) Rally to Protect Families, WIN Immigration Reform and Driver’s Licenses for ALL!! Broke a *NEW* record registering 26,488 new voters (42% suburbs, 58% city) in 20 different immigrant communities in Chicago and its suburbs . Check out this short GOTV video made by ICIRR! Free Informational and Screening Session for Diabetes! In 2008, African American men were 2.7 times as likely to start treatment for end-stage renal disease related to diabetes, as compared to non-Hispanic white men. In 2008, diabetic African Americans were 1.7 times as likely as diabetic Whites to be hospitalized. In 2009, African Americans were 2.2 times as likely as non-Hispanic Whites to die from diabetes. Healthy African cooking. Modified traditional recipe outlining health benefits. Find a local health center that provides services for immigrants and limited English proficient familes. The Office of Refugee Resettlement (ORR), an office of the United States government, provides support for refugee populations in the United States. For more information, visit the ORR website. The Golden Door Coalition is a coalition of individuals and organizations committed to the resettlement of refugees in Illinois with dignity and the support necessary to thrive in our nation. Its members represent a broad range of ethnic communities, faith communities, employers, community-based organizations and others.